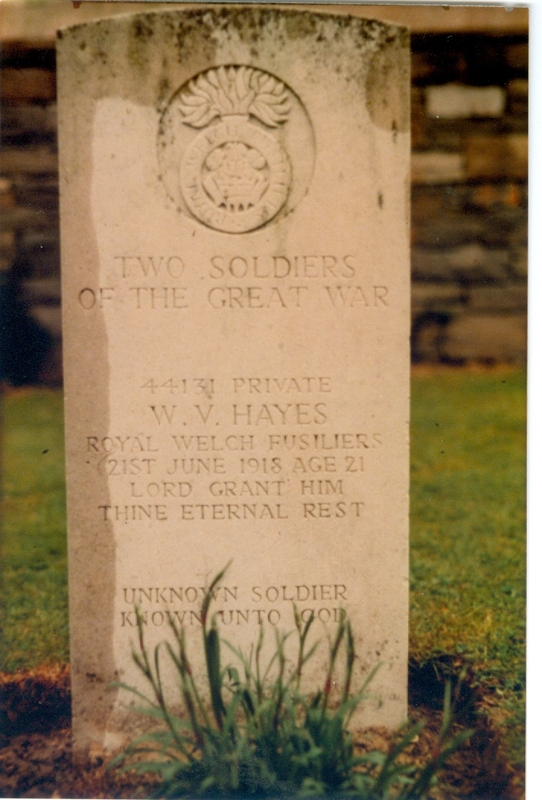 William Victor Hayes was the son of Absalom and Mary Elizabeth Hayes, of the Crown Vaults Lane End. Absalom and Mary’s other children were Frederick, Arthur and Florence, and Minnie who died as an infant. Victor’s death was reported in the Liverpool Daily Post, October 7th 1918: News has been received by Mr. and Mrs. A. Hayes, Crown Vaults, Lane End, Buckley, to the effect that their son, Private Victor Hayes, R.W.F., who has been reported missing several months, is now reported as fallen in action. And in the County Herald October 1918 The sad news has been received by Mr. and Mrs. A Hayes, the Crown .Vaults, Lane End, that their son Private Victor Hayes, who had been reported missing since June 21st is now posted as having died on or about that date. The deceased soldier was a young man of fine physique, being 6ft in height. He was a well-known local athlete; and played with the Buckley Cricket team. He was of a quiet and reserved disposition. 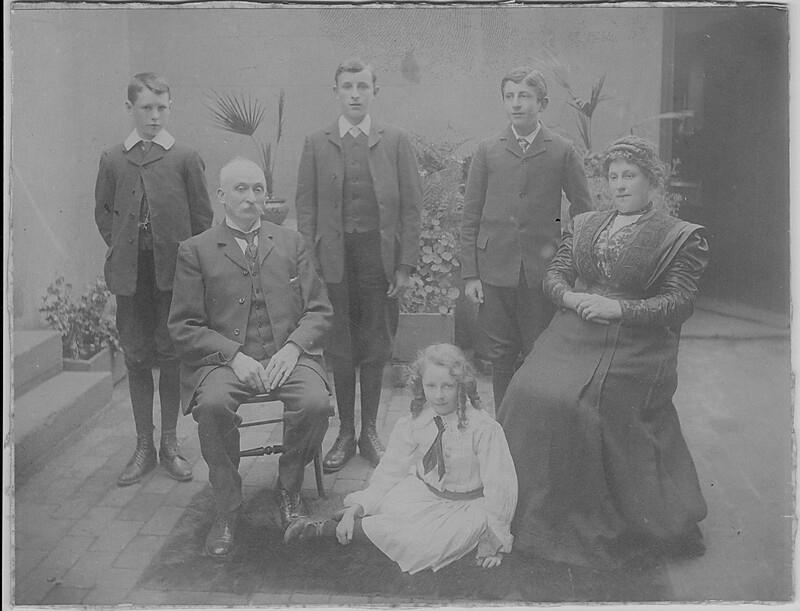 He was educated at St Matthew’s, and subsequently at Hawarden County Schools. He was a Sunday School scholar at St Matthew’s, a communicant, and assisted the clergy in the work of the parish. He was only about twenty years of age. The family grave is at St Matthew’s, Buckley (Grave D757, a white crosslast in row adjacent to path. 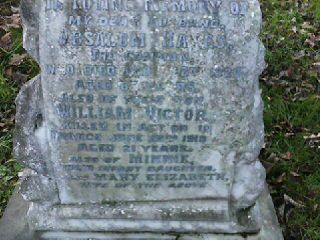 In Loving Memory of my dear husband Absalom Hayes, The Common who died February 22nd 1924 aged 69 years. 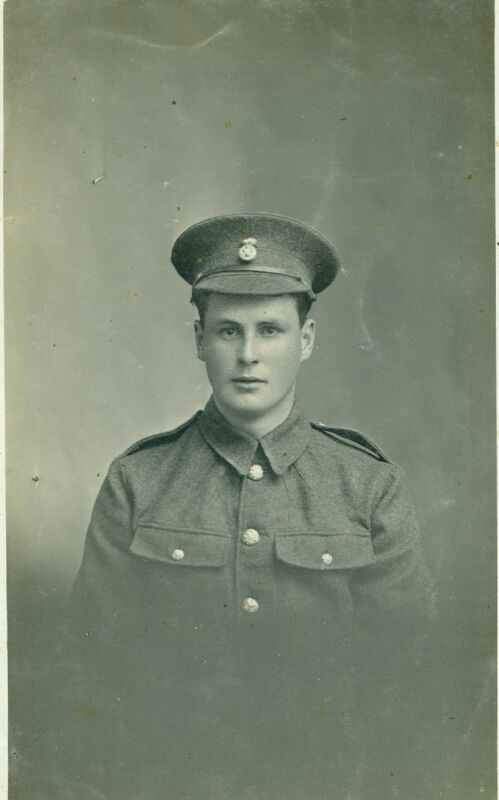 Also WILLIAM VICTOR Killed in Action in France June 22nd 1918 aged 21 years. Also Minnie their infant daughter. Also Mary Elizabeth wife of the above called to rest August 1st 1938 aged 78 years. Victor is buried at Hamel Military Cemetery, Beaumont Hamel. Photos courtesy of Margery Mole and carol Shone.